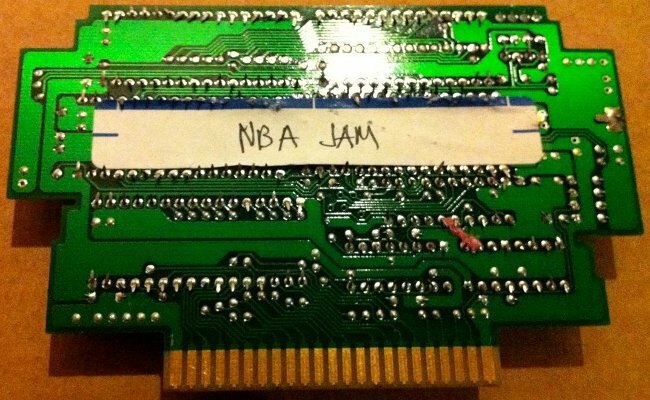 Thanks to Lost Levels, Snes Central is proud to present a prototype of NBA Jam. 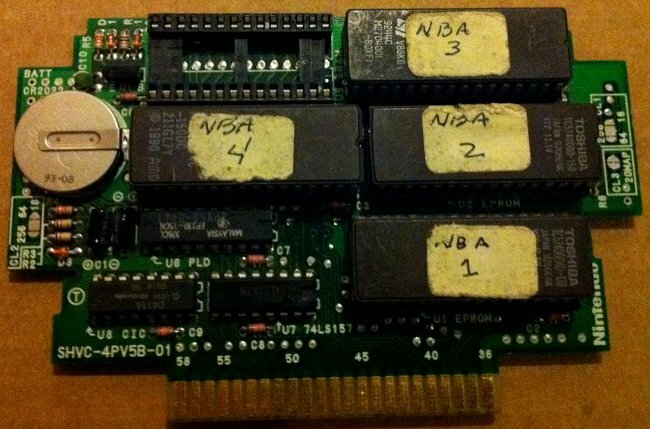 Thanks to Ballz, rbudrick, and Gideon Zhi for dumping these roms, and to Skrybe for sending them my way. I briefly played the game, and I the debugger didn't trip for these two addresses. Considering the internal checksum in the prototype is the same as the final version, I can only assume that these bytes were changed simply to break the checksum, or the chip was not burned correctly. I suppose we also cannot rule out that the dump is bad, although it seems odd that only two bytes would be bad.